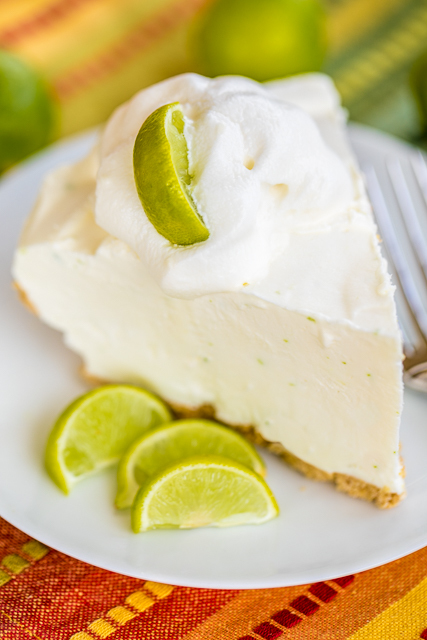 Frozen Key Lime Box Pie - only 4 ingredients! 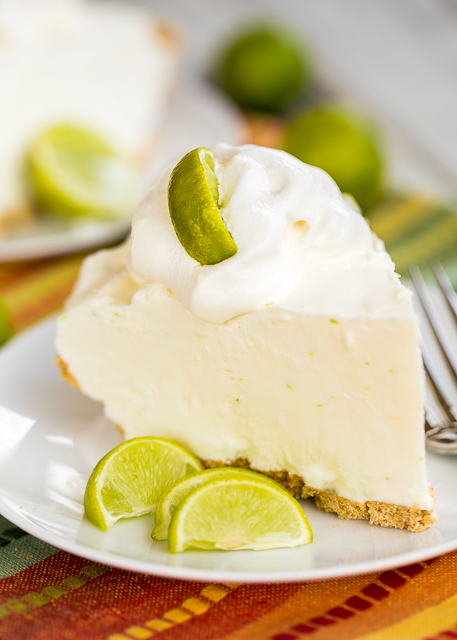 A store-bought graham cracker crust filled with a no churn key lime ice cream made with key limes, heavy cream and sweetened condensed milk. Only takes a minute to make and it tastes amazing! 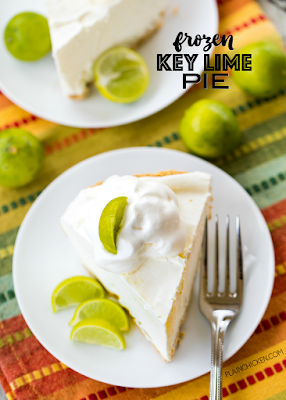 Fantastic key lime flavor! I made this for a party and it was gone in a flash! Everyone asked for the recipe!! 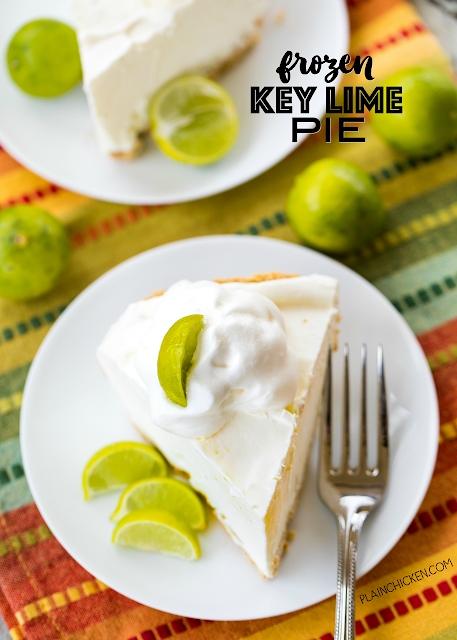 One of Chicken Legs' favorite desserts is Key Lime Pie. I found some key limes at the grocery store the other day and decided to make him his favorite dessert - with a twist. I made a Frozen Key Lime Pie! OMG! It was SOOOOO good!! There are only 4 ingredients for the pie and it is ready to go in the freezer in about 5 minutes. SO easy! The hardest part about this recipe is waiting on it to set up in the freezer! The pie turned out fantastic! Don't worry about cutting the pie - it comes right out of the pan after it is frozen. Perfect slices every time. I like to run my knife under hot water before slicing - it makes it a little easier to cut when it is frozen. All you need is a little dollop of whipped cream and dessert is served! This is the best way to cool off in this brutal summer heat! Whip heavy cream until stiff peaks. Fold in sweetened condensed milk, zest of 3 key lime, and juice from all 12 key limes. Spread whipped cream mixture into graham cracker crust. Cover with plastic wrap and place in freezer. Freeze for 6 hours, or until set. This sounds like the pie that Montego Bay in Panama City Beach has. I've always loved theirs and wondered what the recipe for it was. Sounds so good! How much juice did you use?